The following essay was written to accompany the solo exhibition Diorama by the Melbourne-based artist Susan Wirth. The exhibition was held at Gallerysmith in North Melbourne from 3-26 March 2011. For nearly 100 years, Victorian school kids had pushed their noses against the glass and stared transfixed. There, just beyond the portal stood another world, a distant place, unfamiliar, but almost within reach. Behind the glass, a group of Yarra Yarra Aborigines stood frozen in time. 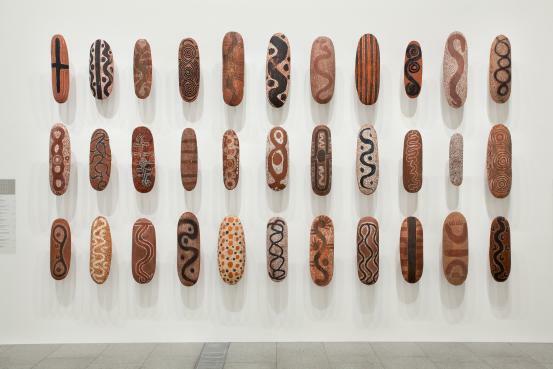 Outside, Melbourne had boomed into a bustling metropolis, but here, in the silent confines of the museum, traditional Aboriginal lifestyle had stayed the same, undisturbed by the arrival of European colonists. 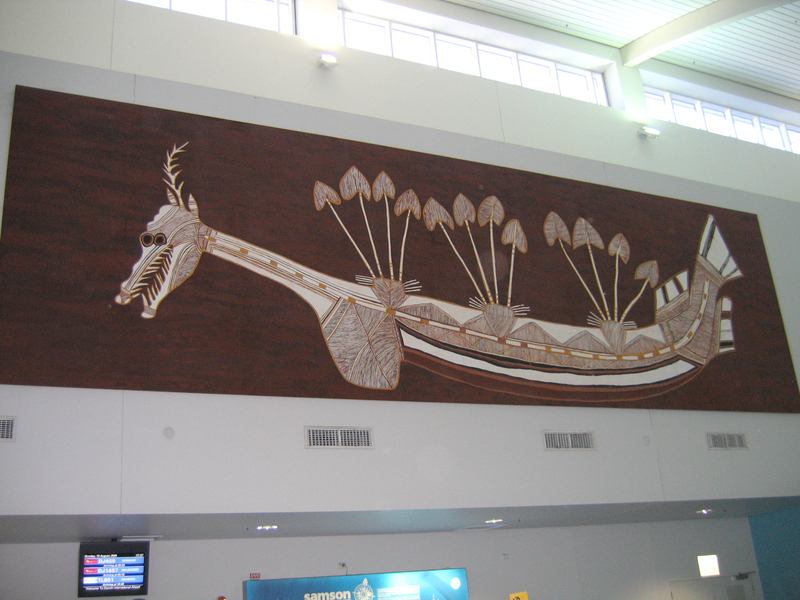 When the display was first acquired, it had been the pride of the National Museum of Victoria. Commissioned by the Victorian government for the 1886 Colonial Exhibition in London, it was the very first diorama owned by the young institution. In the 19th century, dioramas represented the height of a museum’s aspirations. For the National Museum of Victoria, the Yarra Yarra Aborigines diorama symbolised a particular moment of triumph; after three decades of financial and political struggle, the Museum had finally established itself as an integral part of Victorian society. Increased government funding meant that the institution could finally realise some of its grander aspirations, and the family of Yarra Yarra Aborigines was soon joined by a series of elaborate and expensive dioramas – lions on the savannah, polar bears in the arctic, kangaroos on the plains – all displayed in artfully illusory settings designed to transport the viewer to distant lands. As a symbol of the 19th century museum, the diorama was, to paraphrase Winston Churchill, natural history as written by its victors. The diorama offered a frontier through which the entire world could, very literally, be laid out for European consumption. In the case of displays like the Yarra Yarra Aborigines, this presented a particularly insidious metaphor. 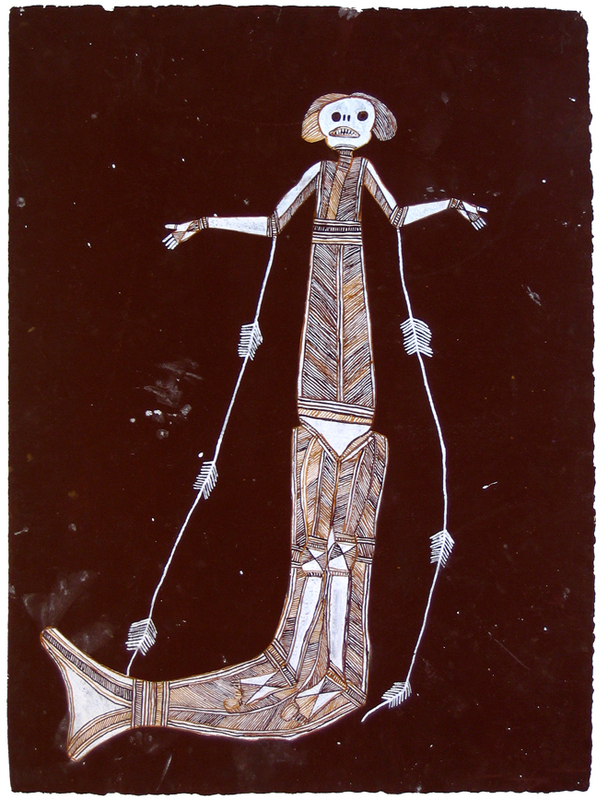 Under the sway of orthogenetic theories of evolution, Aboriginal culture was seen as an earlier stage in the teleological progress of human civilization. 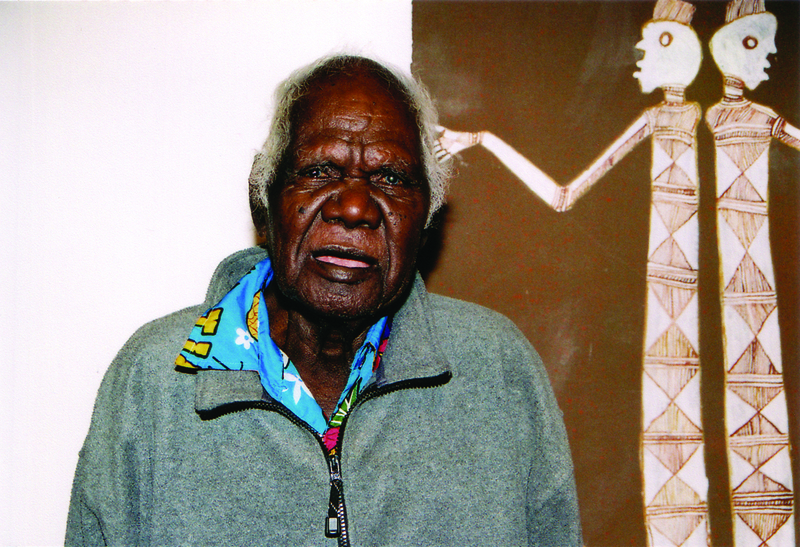 Aboriginal culture was seen like an archaeological remnant of primeval man. Once contact was made with the more ‘advanced’ cultures, it was inevitable that this ‘primitive’ culture would disappear. Not only did this lead to an urgency on behalf of early anthropologists to record and collect ethnographic data for the information it could shed on the development of humanity, but it also made displays like the Yarra Yarra Aborigines diorama a melancholy snapshot of the end of the line for stone-age man. The role of the new museum was not so much to show history, but to unveil the mechanisms of its performance – like a magician revealing his own tricks. The static diorama had no place in this new regime, unless used as an object for a knowing self-critique. And so, in 1980, the Yarra Yarra Aborigine diorama was dismantled, along with each of the other scenes. Once the pride of the museum’s displays, they were now relegated to storage, the quaint relics of a bygone era: ‘museum pieces’ of past museological practice. It is, therefore, a curious decision by Melbourne-based contemporary artist Susan Wirth to title her latest series of works Diorama. The works are certainly not dioramas in any traditional sense. Rather, they consist of a delicate assemblage of lace, fabric and embroidery tacked flat onto board. 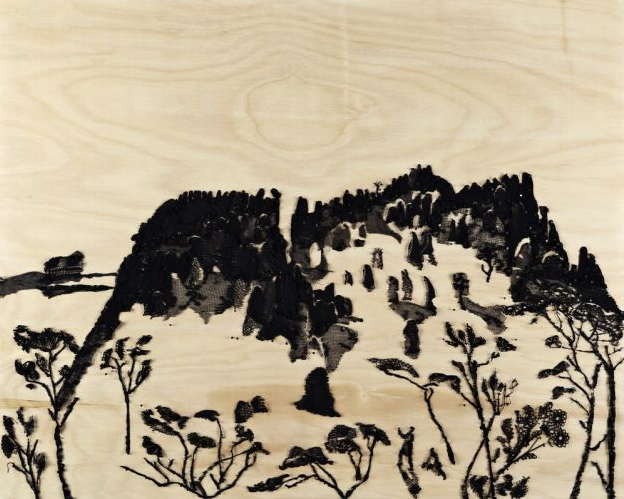 From this artful arrangement shimmer the images of explorers in the landscape, recreating the etchings of the 19th century naturalist and ethnographer Wilhem von Blandowski (1822-1878). Despite having the distinction of being the first employee of the National Museum of Victoria, Blandowski can hardly be considered a victor in the spoils of history. Due in small part to fate, and perhaps in large part to his obstreperous temperament, Blandowski’s achievements as one of Australia’s pioneering natural historians have, until recently, gone largely unnoticed. After committing an egregious error of taxonomic etiquette – naming two unsightly fish after distinguished gentlemen who felt slighted by the comparison – in 1859 Blandowski left Australia in disgrace, his grand scientific visions unrealised. After failing to find support for his natural history projects in Europe, Blandowksi abandoned science altogether, finishing his life as a portrait photographer in the Polish city of Gleiwitz. While the mythology of Australian nationalism has often heralded the lone figure – the solitary explorer, lone bushman or heroic stockman – as a historical figure, Blandowski exists so far on the fringe, so ‘outside’ the establishment, that he was almost entirely forgotten by Australian history. His memory was erased almost without trace, discovered only in the scant echo of a few prints found in European museums. It is these images that are revived in Wirth’s latest series of works. 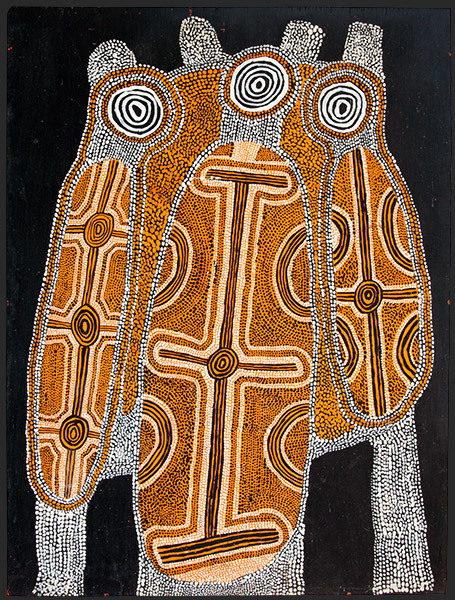 In some ways, Wirth is also an artistic outsider – not cantankerous like Blandowski, but certainly cut from a different mould to the average hip young Melbourne contemporary artist. Wirth came to art after an extended period of travel in Europe. Like many young Australians, she felt the need to leave Australia, to see the world and escape the wasteland of cultural cringe. And yet, like so many exiles, Wirth began with the perspective of distance to yearn for the place she had left behind. Rather than returning to one of the urban centres, Wirth relocated to Darwin. Even today, when expensive apartments crowd the coast and the skyline is abuzz with the storking cranes of development, Darwin remains very much a frontier settlement, a border-zone between European civilization and the vast heartland of the Australian wilderness. The town is a magnet for drifters and chancers; a place where two cultures are thrown together; where all human endeavours seem based upon improvisation; a bricolage town where impermanence is a permanent state of being. 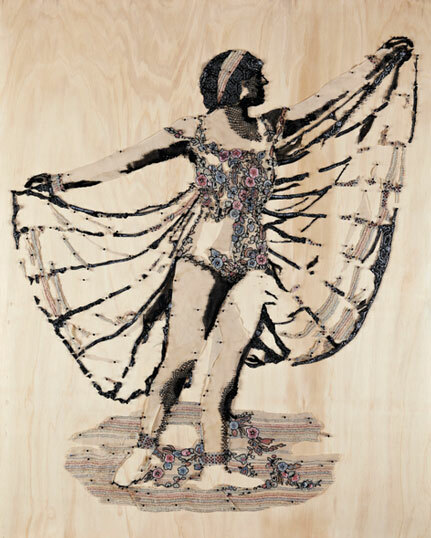 In this sense, we might say there is something uniquely ‘Darwinian’ in Wirth’s most recent body of work, where fragments of the past – lace, embroidery, fabric and quilts – are refashioned into something new, their patterns and rhythms reordered into a new image. It is important here to make a distinction between Wirth’s ‘recycling’ of old materials and the ironic, postmodernist act of appropriation. Wirth’s use of fabric and lace – whether handed down from her mother and grandmother, or purchased in thrift shops – is less about the appropriation of pre-existing meanings than a wholesale systematic re-imagining. For Wirth, the usefulness of an object such as a piece of fine lacework is not in what it reveals about the past, but how it can be reused in the present. In the artist’s hand, the fragment can be cut, torn, dyed, twisted, reassembled and remade into something entirely different. Thus, Wirth’s grandmother’s quilt – an object seemingly rich in nostalgic possibilities – is transformed into the writhing umbilical chaos of Spillage 2011. It is an evocative transformation in which the quilt becomes its own biomorphic entity, part of a slithering alien landscape that belies little trace of its past. And yet, it seems to me that there is a much more complex relationship between image and medium at play in Wirth’s work. One of the first things that most people notice when viewing these works is their virtuosity – how skilfully the artist is able to recreate a photographic image from an assemblage of found objects. From an abstract farrago of patterns, a clear, precise image shimmers into being. This creates a crisis of precession: what comes first, the image or the object? In some ways, the image feels almost like an afterthought, in other ways, like an act of elaborate trickery. The end effect is the sense that the image is always present, waiting to be teased out – or, put another way, that no object is without echoes of an image, the traces of which remain even if we do not know precisely how to read them. What, then, is the meaning of Wirth’s appropriation of Blandowski? Even if Blandowski had not left Australia in disgrace, it is doubtful that his works would have ever entered into the nationalist canon, so far divorced are they from the dominant themes of the Australian mythos. Unlike the tragic figures of Burke and Wills, Blandowski’s vision of the Australian wilderness was not one of death and desolation, but rather, one of grandeur and beauty. Take for instance his rapturous description of the scene that forms Wirth’s Diorama 2 2010 (pictured above): “a massive wall of dolerite whose deep blue and sombre hues is in exquisite harmony with the dark green of the eucalypts.” Blandowski was equally quick to find merit in the knowledge of Australia’s Indigenous inhabitants, chiding the government for its maltreatment and failure to protect the country’s first inhabitants. At the same time, Blandowski was not averse to performance and illusion in constructing the narrative of his images. In his etchings, he would often insert himself as a lone figure, dwarfed by the landscape, suggesting a moment of first sight. Wirth’s choice to appropriate these etchings, displayed like faded snapshots across board, draws attention to the very constructed nature of the imagery they contain. If Blandowkski was attempting to construct a vision of first sight, Wirth’s appropriation suggests that this first sight is always mediated, its representation simply the repetition of an imaginary moment. Like the museum diorama then, Wirth’s Dioramas are about illusion: the illusion of life, the illusion of presence, the illusion of history. It is worth noting the strange visual affinity between Wirth’s Dioramas and the paintings of Fred Williams. 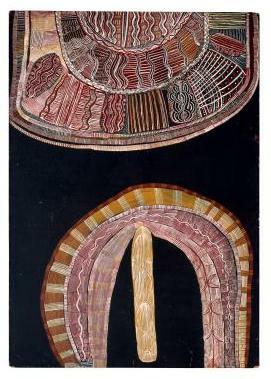 Williams holds a unique position in Australian art history as the artist who most successfully married the lessons of Modernism with the Australian landscape. 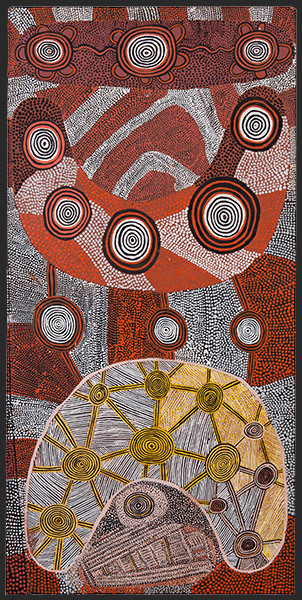 In other words, Williams took the specific (that is, the Australian landscape) and united it with the generic (international modernism, with its Greenbergian teleological progression towards the specificity of the medium). 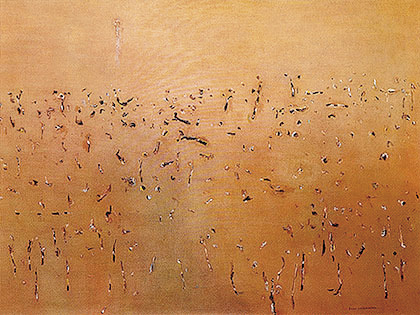 Following this logic, in his simple flecks of paint on the flat ground of the canvas – such as in his Yellow Landscape 1968-1969, in the collection of Geelong Art Gallery – Williams was able to create a landscape that was simultaneously here and everywhere; a particular place and nowhere at all. If we continue this reasoning into Wirth’s work, then the tension between medium and image becomes about making something very specific (nostalgia, memory, family) into something generic (the illusory performance of the diorama). But if the narratives of place, history, family, and so on, are nothing but a literal veil, then what is left? In the case of Williams’ paintings, it is the flat canvas – the very endpoint of Greenbergian modernism. In Wirth’s work, it something quite different: the flat sanded grain of commercial timber. The polished boards, with their faint memory of nature in the still-present rings of the tree trunk, become like the museum diorama, where nature is brought under human control, just as it is in the supposedly scientific natural history etchings of Blandowksi. The landscape – from the trees to the birds – becomes nothing but a pastiche, ready to be re-stitched and reordered, to be put to work of construction of history and mythology. This is Wirth’s dangerous idea. For if all history is simply a performance – a dioramic stage that can be either playful or serious – what is to become of the hierarchies upon which our established mythologies have been based? To return to Dening, it creates a history that does not believe in its own fictions: a history that does not attempt to replicate reality, but to redress reality. It would be very wrong to read this as melancholy in Wirth’s work, or to suggest her collages attest to the emptiness of signs. For there is a heroic pleasure in Wirth’s performance – a mythic figuring in which the diminutive figure of Stella Wirth might stand in for Heracles or Perseus. Wrought large on the stage of the canvas, in a sparkling brocade of jewels and lace, Stella is the hero of a new history written not by the victors, but by the performers: those ready, like Wirth, to take centre stage.